What’s the difference between H16 and 5202 LED bulbs for the Tundra? New 2014+ Tundras have a new fog light housing and a new fog light bulb. These new bulbs are now labeled as H16. Until this fog light housing came out, the bulb style used has never been called an H16. Before this light was released, an H16 bulb looked totally different than this new bulb. The new Tundra fog light bulb is actually more like an H11 bulb. This has caused a lot of confusion when upgrading the new Tundra fog lights. Left: 2014+ new H16 Bulb. Right: Traditional H16 Bulb. Very similar in style and fitment. Very similar in style and in fitment. When upgrading 2014+ Tundra fog lights, an H11 bulb is needed, not a traditional H16 LED bulb. Check out our newest Tundra fog light video for more information. If you’re looking for a really easy way to upgrade the safety, style, and functionality of your Toyota Tundra, changing the fog light bulbs to LED is a really great way to accomplish that. People upgrade their lights to LED all the time for many different reasons. Either to increase brightness so people can see your vehicle easier, to change the color, to make the style more modern, and for longevity so that your bulbs aren’t burning out all of the time. Starting in 2014, the Toyota Tundra LED fog light bulb products have been updated. Older model bulbs don’t work on these newer trucks. In order to get the back side of the 2015 Tundra fog light, you have three 10mm bolts to take off. The first two bolts are on the back side of the outer edge of the bumper. These bolts hold the plastic liner in place. The third bolt is down underneath closer to the middle. Now that the plastic liner is loose, slide it toward the middle and pry it out. If a plastic bracket falls out, just set it aside for later; this bracket attaches to the backside of the plastic liner so the bolts have something to grip to. Now with the plastic liner back, you will have easy access to the fog light bulb and the wire connector. If more room is needed for you to install your fog light bulbs, or you want to replace the 2015 Tundra fog light housings, the housing is easy to remove. Just unscrew the single bolt on the outerside on the housing and the housing will fall free. CLICK HERE to see a full list of halogen and LED fog light bulb products for the 2014, 2015 and 2016 Toyota Tundra! If you would like to see this process step by step, check out the video below. It also takes you through multiple LED fog light upgrade options. Lots of people see these new grill replacements for their trucks for sale and on cool truck builds but they don’t really have a good understanding of the logistics of how to install them. You either don’t know at all and won’t buy the product due to uncertainty, or you buy it without thinking how it works and regret it because you can’t figure it out. The first and most important thing most truck enthusiasts probably don’t know is that you have to cut out the center section of your original grille first, in order to install the new one. On some vehicles that middle section will just pop out and there’s no cutting involved, but most of the time you’re not that lucky! This is what the grille on the Tundra looked like before being cut up to fit the Royalty Core grille. This is what the Tundra grille looked like after being modified. The middle is cut out so the new grille insert can fit in place properly. 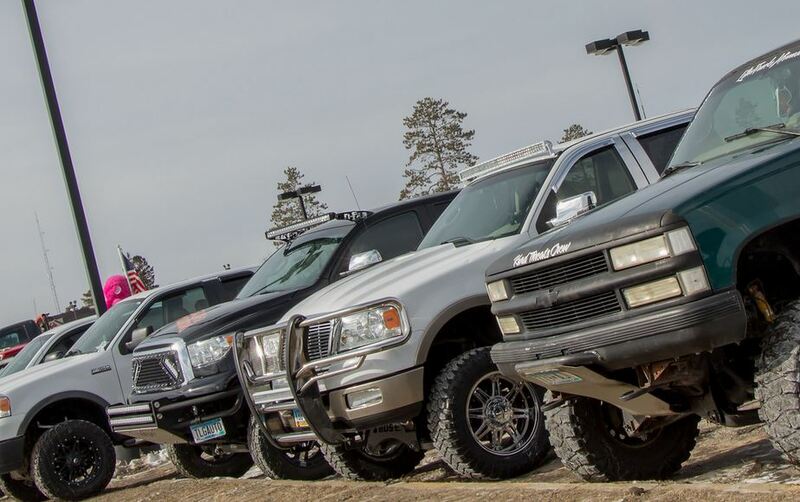 Royalty Core grilles have some of the best mounting hardware on the market. This method makes it very easy to install. When you get the new grille insert in place then it’s time to install the light bars. Most of the time they will come packaged separately and it’s up to the installer to mount the lights. This is good because the lights add a lot of weight to the product and can make the grille hard to handle. The LED light bars mount to the back side of the grille so just the face of the light is showing. Royalty Core uses Vision X brand of LED light bars. This is because Vision X has the world’s brightest light bars: more than double the light output of any other company, light bar per light bar. 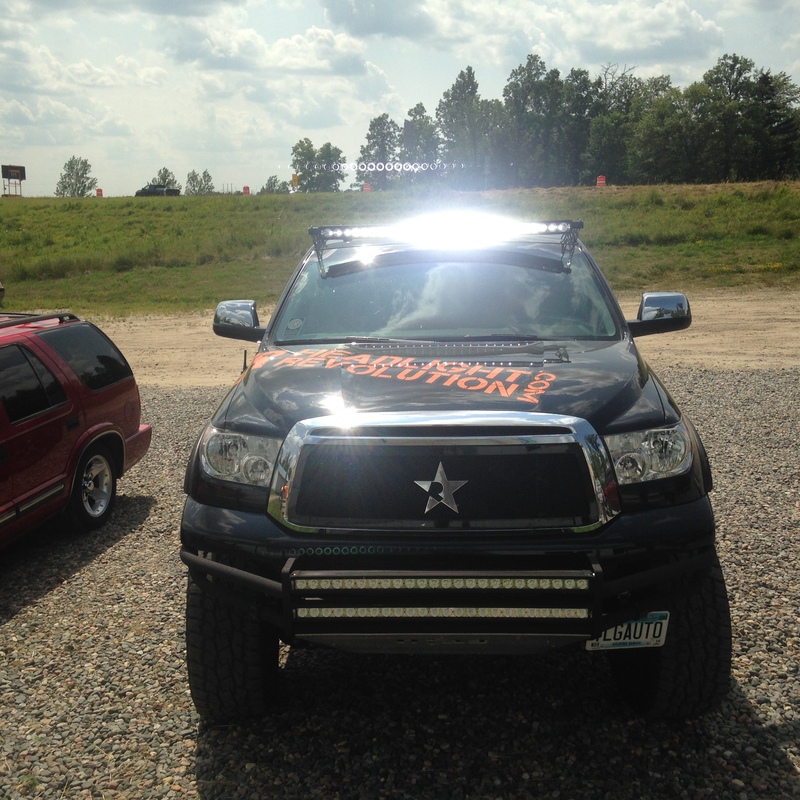 When the light bars are mounted and aligned to the grille you can re-attach the truck grille to the truck. 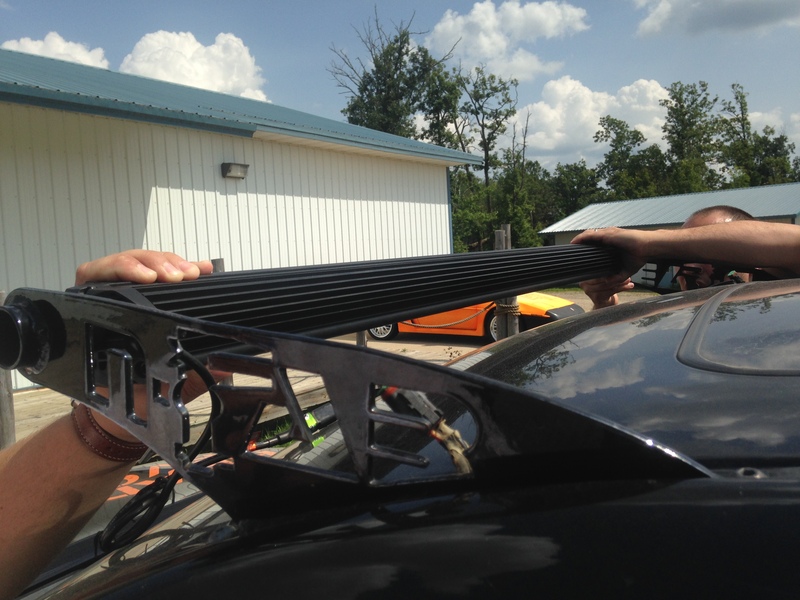 Now that the grille is heavier than it was at first it’s a good idea to get some help! Re-attach the grille to the truck. With the new grille mounted to the truck and secured using all the factory mounting points it’s time to run power wires to the light bars. 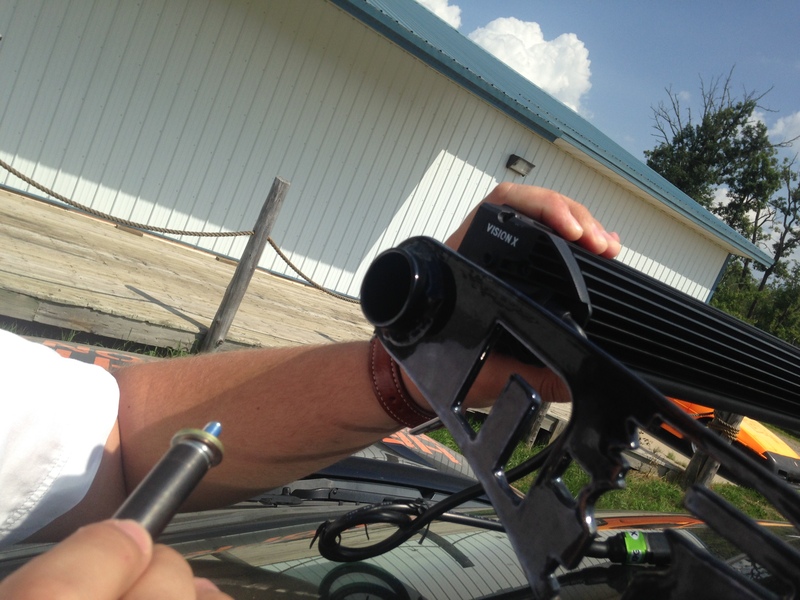 The best way to do this is to start with a universal relay harness, wire it to the battery and to a switch inside the vehicle, then safely through the firewall and up onto the hood and finally connected to the new light bars. Drilling a hole in the dash and mounting a switch; passing wires through the firewall; connecting power wires to the battery; and running power wires up onto the hood all require a fair amount of skilled installation ability. If you don’t understand already how to wire in a relay harness either hire a professional to do it or research the safe methods and learn how to do it yourself. Just be warned that this is definitely considered custom electrical wiring installation. Run new wiring from a switch inside the cab, into the engine bay and safely up and onto the hood to power the new lights. The way the install was done on this particular truck grille was to use a set of GTR Lighting LED Halo style in-dash switches. These are some of the nicest looking switches around and fit in most spots on the dash. Custom mounted halo switches from GTR Lighting. At the top of this post there’s a video to show all of this information in more detail. It’s about 20 minutes long but really goes in depth on the ins and outs of this type of install. Before you decide which grille to purchase, and if you can handle the job yourself check it out. Or click here to watch the video now. 2010 Toyota Tundra featuring a Royalty Core steel-mesh grille with a pair of Vision X LED offroad light bars installed. 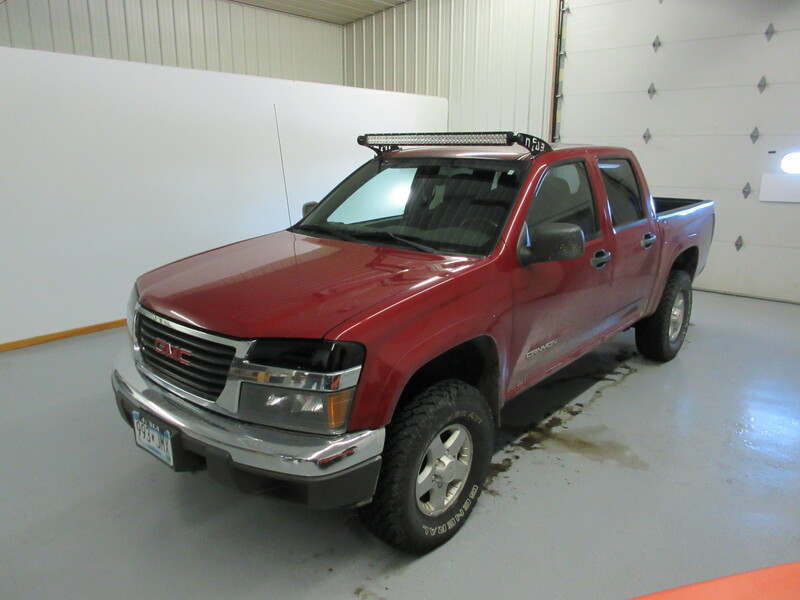 How to install an LED light bar on the roof of my truck? If you are like most off-road and truck enthusiasts, one of the things you’re probably REALLY interested in is installing LED lighting. This whole market of upgraded lighting has exploded in the last 2 years and everyone is very eager to get their truck’s upgraded as soon as possible! One thing that has become a trend though in the last few months is redneck style roof mounting… You’ve probably seen it done where you live and heck, maybe you’ve done it yourself. The white truck in this picture mounted the light bar on the roof incorrectly. The black truck is done right. The owner of this blue Chevy mounted the light bar directly to the roof using the supplied brackets. This is the wrong way to do it! The owner of this white Chevy mounted the light bar directly to the roof using the supplied brackets. This is the wrong way to do it! 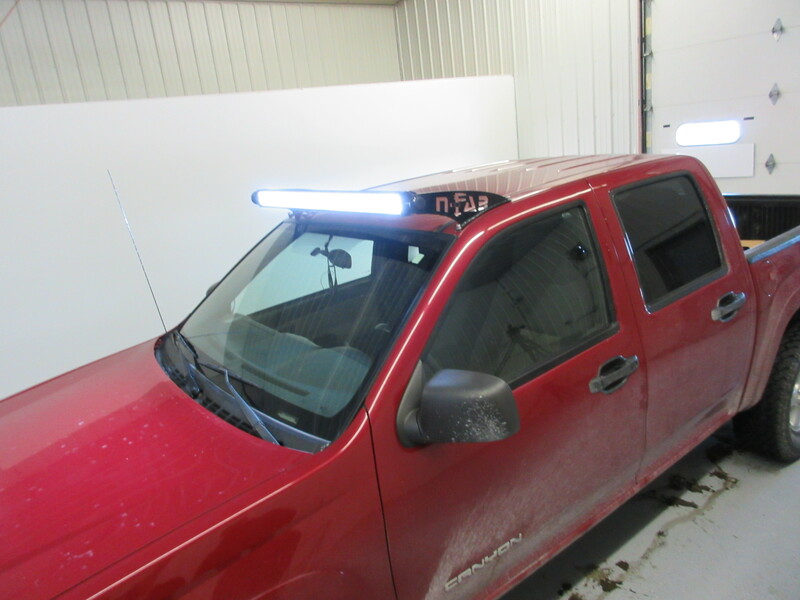 The owner of this red Ford mounted the light bar directly to the roof using the supplied brackets. This is the wrong way to do it! When you use the “universal” brackets that come with the light bar and just mount them to the top of your roof skin it LOOKS STUPID! Don’t do it! 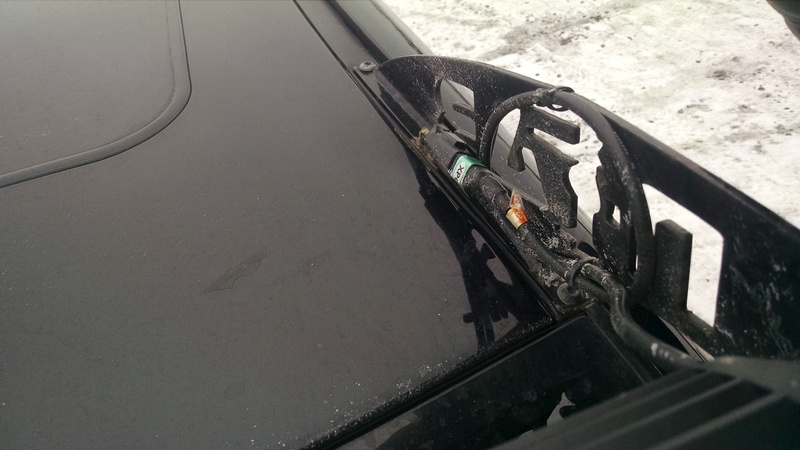 These “universal” brackets are a cheap way to mount your light bar, and then guess what happens – your truck looks cheap! On this Canyon, a set of N-Fab roof mount light bar brackets were used for the install. The first thing you’ll notice is that it looks better than the first set of pictures. Getting the light bar up and off of the roof makes the whole setup look great. Secondly it allows you to position the light bar in a more usable way. Getting the light bar up and away from the roof allows the light bar to not be blocked by the roof skin right in front of it. XPI light bar has two sets of holes on each side that both bolt on the mounting feet. Since we’re doing a roof mount, we got to choose which hole to use and decided on the top one. That brought the Light Bar closer to the roof. Vision X XPI LED Light Bar roof mount install completed. Probably the best way to find out which vehicle specific light bar bracket to use is to first contact Headlight Revolution. They know what works and what doesn’t and can definitely get you set up with not only a light bar bracket, but also the right mounting and wiring components to make it all work. 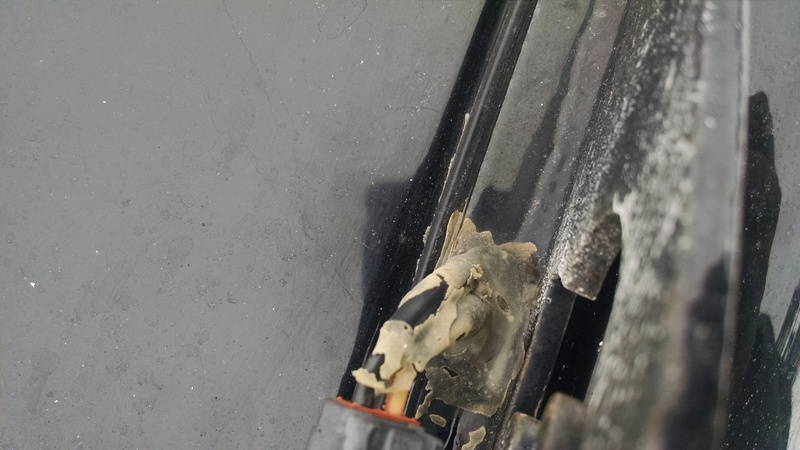 Wiring: When you get the light bar properly mounted to your roof, and all the holes are sealed to become waterproof, it’s time to run your wiring. DO NOT just run the wiring loosely through the door jam. The best way to do this is to drill a new hole in your roof near your roof mount brackets and run the wiring down directly into the cab of the truck. This is the best method because it is the shortest distance for the wire to travel, and it has the least chance of getting smashed in your door jamb. Drill a hole in the roof, run your wiring through that hole and seal it up with waterproof silicone. However, if you’re really not sure how to do the install, you should either be prepared to drill holes in your roof as a learning experience, or hire a local professional install shop to do it for you. If you need any help with what bracket kit you need for you truck, just ask!